Several years ago, I tried to install SAP NetWeaver. It took me more than a day, and N installations plus N-1 removals before I finally got it right. I searched with several search engines and read many forum postings on SDN. Hinted by one post, I renamed the 13 character machine name to 9 characters, then the magic happened all of sudden. The result wasn’t too bad but one day of time wasted. Many things could be improved to avoid the pain there. The foremost is the installer – why didn’t it check the hostname and alert me of the limitation? At that time, I didn’t know VMware. After joining VMware, I knew more about virtualization and realized that a virtual appliance (VA) could have been a big time saver for me had the NetWeaver been packaged as a VA. The pain as such can easily push potential customers away. It would be a different story if you have somewhat dominance in the market like SAP in enterprise ERP – you can charge big bucks for consulting and training services. 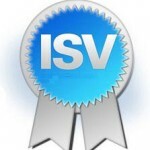 Most other ISVs are not in such a position. Even for SAP, it faces strong competitions from others like Oracle. As a side note, SAP has a virtualized NetWeaver evaluation edition. 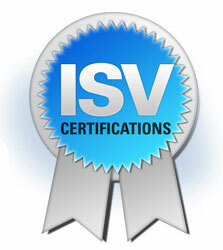 More info can be found about the SAP-VMware partnership.